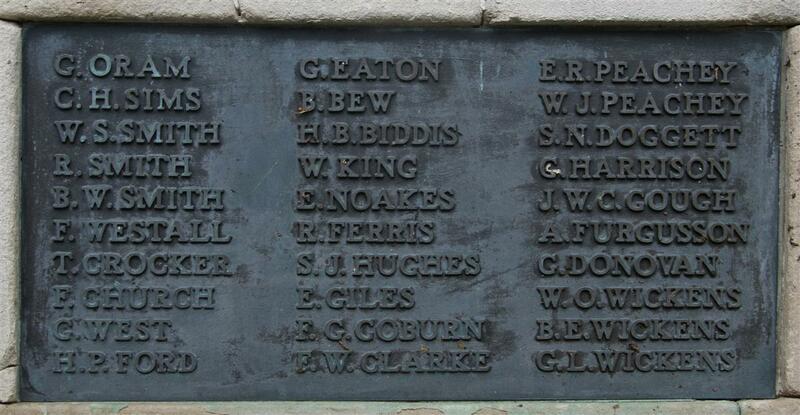 Private 11007 George Hacker, 2nd Battalion, Royal Berkshire Regiment. George was born in Everleigh, Wiltshire on 31 March 1885, the son of Andrew Hacker and his wife Mary Ann (née Andrews); he was their second child having an elder sister, Ellen. Andrew was a carter, working on farms with horse and cart; employment opportunities meant that the family moved around, in 1891 they were living at Lower Lodge in Woolley where Andrew was probably working for the Woolley Park Estate or one of its tenant farmers. On 14 November 1892 George was admitted into St Nicolas’ School in Newbury; this was mid-term and probably indicates that the family’s move to Newbury was very recent. Andrew came to the town to work for a local brewery as a drayman – a very steady form of employment for a carter. It is not clear which brewery employed Andrew, but it was most like to have been Hawkins’ West Mills Brewery, which, in 1897, amalgamated with Parfitt’s Atlas Brewery to form Hawkins & Parfitt’s South Berks Brewery Co. In 1901 and 1902 Andrew entered the annual Whitsun horse parade as a representative of the South Berks – and won third prize on both occasions in the ‘Pairs of Van Horses’ category. It is likely that he entered on other occasions, but only prize winners merit a mention in the news reports. 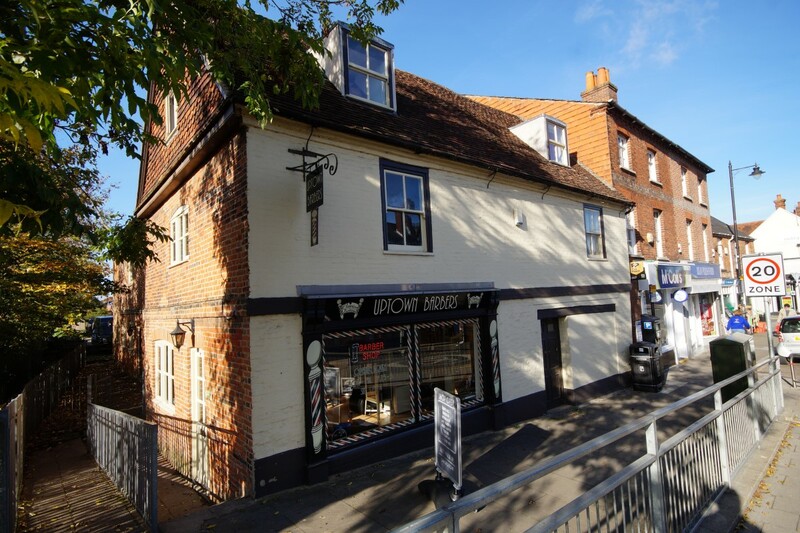 In Newbury the family expanded with the arrival of Emily (1892), Edith Florence (1897), Beatrice Mary (1899), Albert Reginald (1903), and Violet (1904). Sadly Beatrice and Violet died as infants, as did two further children whose names are unknown. 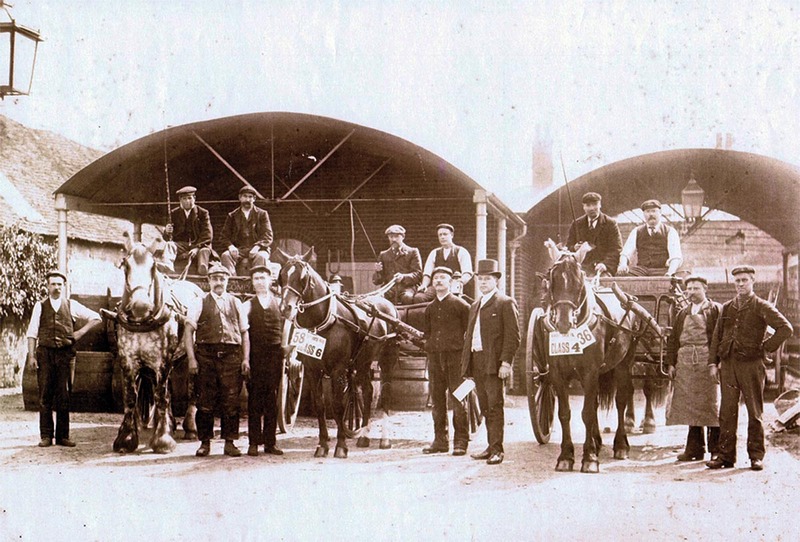 When they first came to Newbury they lived at Adey’s Cottages adjacent to the brewery in West Mills (also known as Alma Cottages) but settled in Vine Yard in 1901. Mary lived there until her death in 1941 (Andrew had died in 1924). the three cottages in the yard behind, The beerhouse closed for good a couple of years after the Hackers moved into one of the cottages.. When he left school (on 20 December 1897, aged 12) George went to work as a cow boy (without six shooters or Stetson). By the time of the 1901 census he was working as a gentleman’s servant, but he did not stick with domestic service either, by 1911 he was working as a railway labourer. The local railway was the Great Western, but he does not appear in their employee records; he may have worked for a contractor. 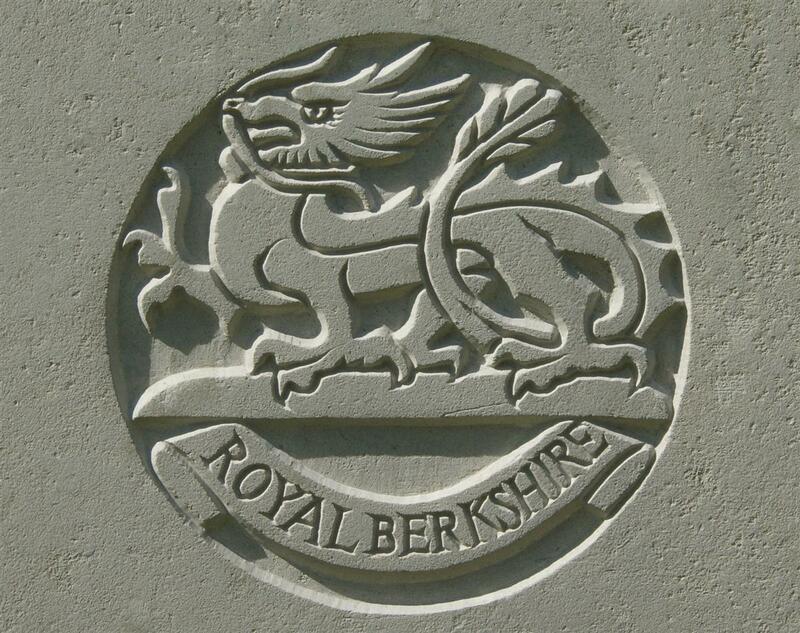 He joined up soon after the war began in August 1914 enlisting in Reading on 1 September into the Royal Berkshire Regiment. He was posted to the regiment’s 5th Battalion, which was formed on 25 August as the first of a number of battalion created to take the massive influx of volunteers signing up in the opening weeks of the war. The 5th Royal Berks was allocated to the 35th Brigade in the 12th (Eastern) Division, part of ‘K1’ the first army group formed from the ‘Kitchener’ volunteers. The division moved overseas to France in late May 1915 and was one of the first ‘New Army’ divisions to arrive in a theatre of war. It is not known how long George served with the 5th Battalion before he transferred to the regiment’s 2nd Battalion, but such transfers were commonly the result of a break in service caused by wounds or sickness (once they recovered men would be sent to where there was greatest need). All that is known is that his name appeared on a casualty list printed in the Berkshire Chronicle on 13 October 1917 as one of the men recently reported missing. The 2nd Battalion had last been in a serious action on 16 August when it attacked German positions around the village of Zonnebeke during the Battle of Langemarck: after early advances the battalion was forced back by enemy counter-attacks and suffered heavy losses (13 killed, 231 wounded and 120 missing). It is possible (probable?) that George was listed among the missing that day. A great many of the men reported missing would eventually be presumed to have died on the day they disappeared, but this was not George’s fate. Sadly no details have been uncovered beyond the basic information that he died on 20 November 1917 and was buried in an extension to the communal cemetery at Rethel, a small town in the Ardennes region of France, 37kms north-east of Reims. This was a considerable distance from where he went missing in Belgium; the logical conclusion is that he was taken prisoner and was taken south, either to be treated for wounds received in the battle for Zonnebeke, or to work, as many prisoners did, behind the enemy lines. His subsequent death, over three months after his capture, could have been the result of wounds received in August, subsequent sickness, or even as a result of British shelling. After the war the German extension to the Rethel town cemetery was cleared; the bodies of Allied soldiers buried there were moved to the nearby Rethel French National Cemetery where George’s remains lie in grave 1867. Back home he was remembered on Tablet 11 of the Newbury Town War Memorial, and also on the roll of honour and memorial board in St Nicolas’ Church.